We have realised that cooking the perfect paleo crunchy sweet potato chips is somewhat difficult. We’re all after a crunchy chip, right? And well, sweet potato just doesn’t seem to get as crunchy as regular white potato. Damn you white potato and your crunchiness. 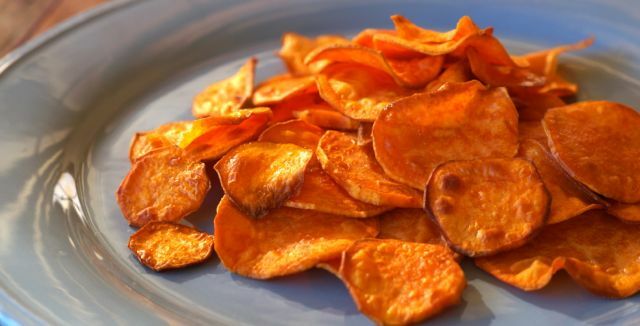 We decided to take one for the team and do some serious research to come up with the best way to get the perfect paleo crunchy sweet potato chips. Not just any chip, a chip that can actually be dipped into that guacamole dip. A chip that actually goes crunch when you munch. A chip that tastes naughty but ain’t naughty. Just a flippin’ good chip yaaah! We even made a YouTube video with our top tips! We are traditional chip bakers, not fryers, always have been always will be (maybe…). Batch after batch of sweet potato we’d always get half the chips crispy then the other half would be soggy then the other half would be black, burnt and not so tasty (yes, that is three halves). Anyway we put up with it time and time again, mainly because the soggy chippies are still delish… but we still want a perfect batch darn it! Ok time to stop dribbling and get to the recipes! AHHH! BUT WAIT! We need to talk about frying sweet potato chips because apparently it’s all kinds of amazing… party in your mouth business. FACT, we did it, minds were blown by the delish factor, speechless by the crunch factor! Party party crunch party crunch! 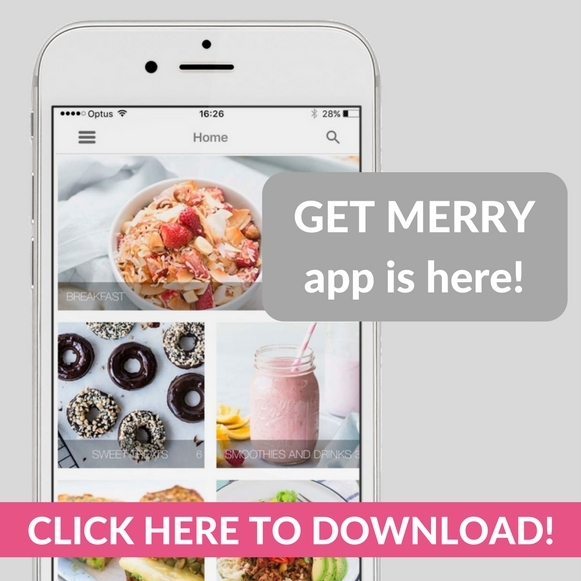 Definitely give it a go if you don’t mind coconut oil splatter all over your kitchen. Shallow fried sweet potato chips (if you’re after a real crunch, then you’re going to want to make these!). Peel and thinly slice your sweet potatoes (with a mandolin slicer or if you have good knife skills… with a sharp knife!). In a small sauce pan melt coconut oil (it should be about 1/2 a cm (1/4 inch) deep). When the oil starts to bubble turn down to medium heat and carefully drop the chip slices in to the oil (don’t put too many in at a time, they shouldn’t cover each other). Cook the chips for around 3 minutes, flip with tongs and cook for a further 2-3 minutes or until the edges start to curl. Allow to dry on paper towel. Get ready for that crunch! Baked sweet potato chips (crunchy on the outside but soft on the inside PLUS we use a delicious tasty coating!). Preheat oven to 180 degrees celsius. 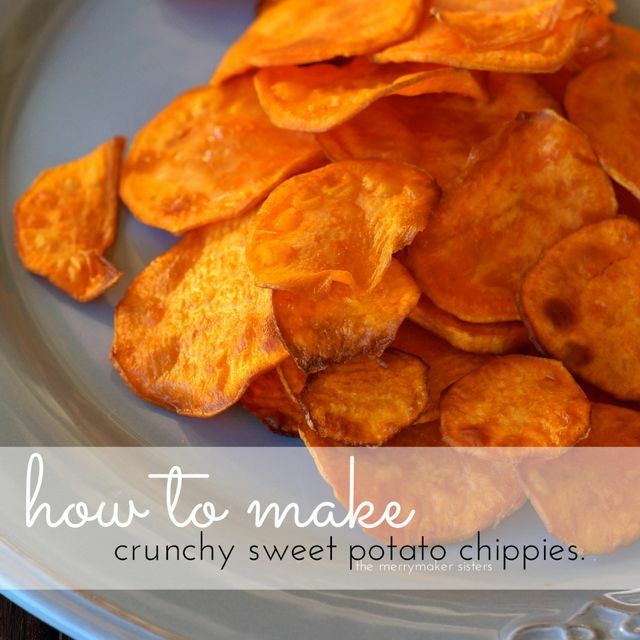 Peel and cut around 200 grams of sweet potato, place in to a large bowl add 2 tbs. macadamia oil and toss the chippies. In a small bowl mix 1/3 cup coconut flour, 1 tbs. paprika, 1 tbs. arrowroot (tapioca) flour and salt and pepper. Roll each chip in a thin layer of the dry coating mix and place on to a lined baking tray in a single layer. Bake for 20 minutes, turn and bake for a further 20 minutes. Soaked and baked sweet potato chips (this one requires a little more time and organisation but it definitely helped with the crunch factor!). Preheat oven to 180 degrees celsius. Peel and slice 200 grams sweet potato in to thin french fry size chippies. Place them in to a large bowl and cover with water. Allow to soak for 1-2 hours (this draws out starch and moisture). After soaking, rinse the chippies well with fresh water and pat dry (this is important, otherwise you’ll just add more moisture!). Place on to a lined baking tray in one single layer and drizzle with some macadamia oil and season with salt and pepper. Place in to the oven for 20 minutes, turn, and place back in to the oven for a further 20 minutes. We serve our perfect crunchy sweet potato chips with breakfast, lunch and dinner (not in the same day but). Try them with this paleo dip or why not with these delicious frittatas or our chicken wrapped in bacon or this winning dinner recipe (drooool). 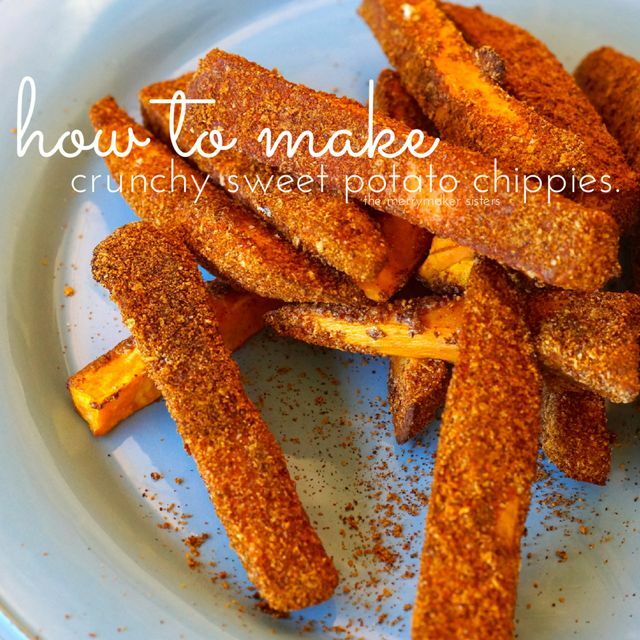 We also asked YOU what your tricks were for the perfect crunchy sweet potato chips and here’s a list of some other ideas on how to get that CRUNCH… can you see yours?! I use arrowroot flour all the time. Shake it up in a plastic bag to coat evenly! Whether you fry in coconut oil or bake in the oven.. Always crispy. Peel thin slices and fry in duck fat. Sliced thinly and evenly in a food processor, smothered in coconut oil and some sea salt, cooked in oven low and slow… result is exactly like the packet kind but you need several trays of them for a decent serve, so takes a while. Keep the oven ajar and cook for longer. This is my trick for apple crisps. Heat your tray in a 200 degree celsius oven 10 mins before adding the potatoes. You can try dehydrating them first. They’re like crisps then! Olive oil, salt and high temp approx 200 degrees celsius. On the base of a roasting dish with marrow bones on top. After 30 minutes, all the gelatine oozes out on to the chips and makes them super crunchy. Coconut oil or ghee and a splash of bone broth. Use a bit of vinegar before baking. 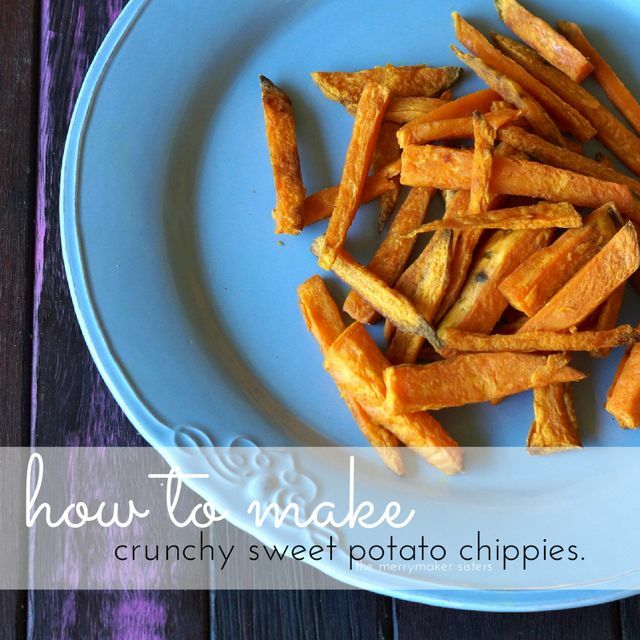 We hope you enjoy your perfect crunchy sweet potato chippies! YUM!